Georgie Minter-Brown: Could This Micellar Water Trump Bioderma? It's fair to say I'm pretty in love with Bioderma. After it cleared up a serious attack of eczema around my eyes, it has never failed in cleaning my skin without scraping it raw. My ideal cleanser, you might say. I have tried a few more micellar waters since then, and to be perfectly honest none have truly lived up to it. 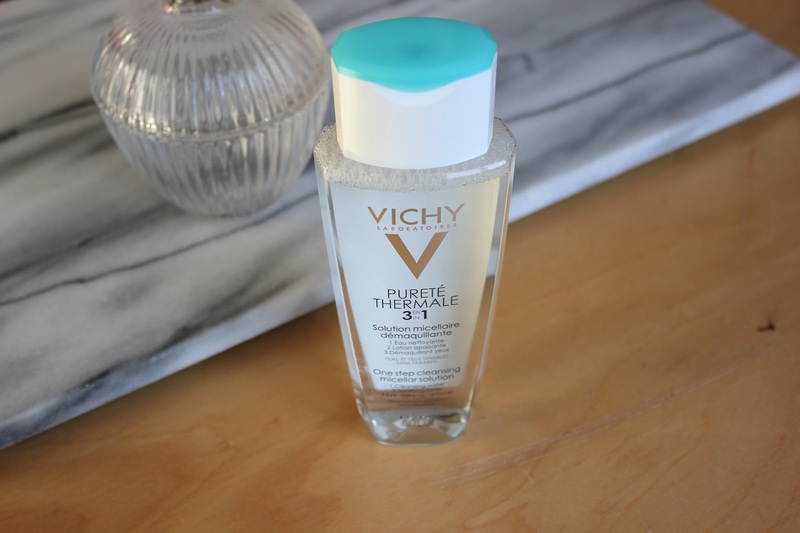 Then, this little bottle of Vichy Purete Thermale One Step Micellar Water came through the post. I was at first, skeptical. 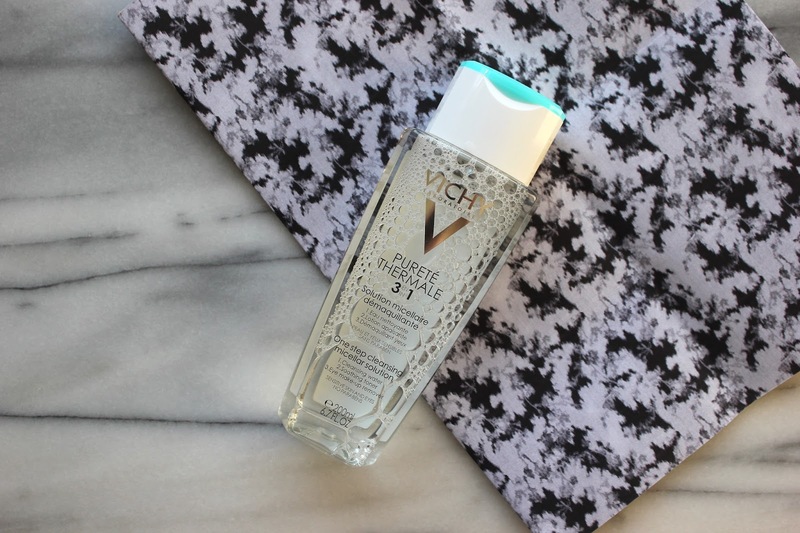 Vichy products have broken me out in the past, and I didn't want it to happen again. 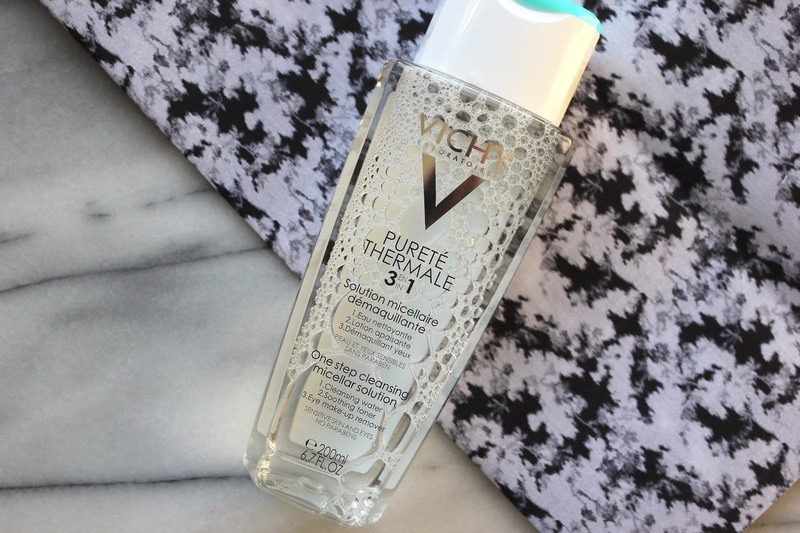 But after a good month of using the Vichy Purete Thermale One Step Micellar Wate, I am pleasantly surprised! Not only does this remove my makeup quickly, you can also see any grease that has come off your face. I like to see that a product has actually visibly done something to my face, and this shows up the tiniest amount of makeup or dirt on your cotton pad. A problem that I found with some micellar waters in the past was even though they effectively removed my makeup, I would start to break out a little. Now I have very good skin, but do get the occasional tiny blemish and Bioderma keeps these problems at bay. And so did this! This really impressed me, and since then it's become part of my skincare routine. If I had to be really picky, then I have only two negatives about this product. Actually, they're not even negatives, but more things I've noticed. One- I can tell this isn't Bioderma. I'm being serious! This is a tad more strong, and after a good year or two of using it, I can weirdly tell the difference between the two products especially if my skin is a little dry or fragile. Two- the bottle annoys me slightly. It may be because it is top heavy, or the fact the top is more of a flat service than a tapered spout. It certainly looks great, but probably isn't as user-friendly as I'd have hoped. But with the Vichy Purete Thermale One Step Micellar Wate coming in a couple of pounds cheaper than the 250ml Bioderma, it is certainly a great alternative. So does the Vichy Purete Thermale One Step Micellar Wate trump Bioderma? For some people, I think it could. It's cheaper, does everything it says on the tin and reflects the results of Bioderma. For me, though, Bioderma is still my one and only. This will certainly make a reappearance in my skincare cupboard, and when I can't get hold of my little pink bottle this will be my number two. Have you tried any Vichy products? I'd love to know whether you've tried any more micellar waters and what your favourites are. Yeah I think they are a bit more expensive, but they are definitely worth it!